Avenger Poultry Litter Fertilizer 3-2-3 is a safe way to provide organic nutrients with a variety of applications. 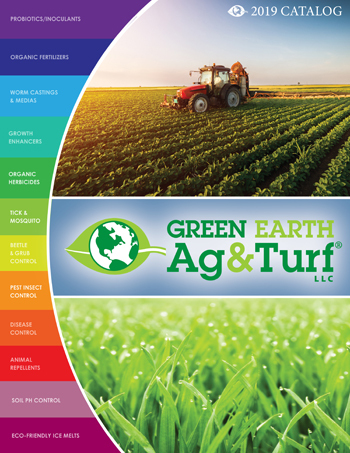 With so many concerns over product performance, safety, and the environment, you can’t afford to take chances with what you’re growing, from golf courses and sports fields to vegetables, field crops or nurseries. Avenger Poultry Litter Organic fertilizers improve soil structure, and water holding capacity over long term use. These precision products also help prevent nutrient leaching and volatilization. 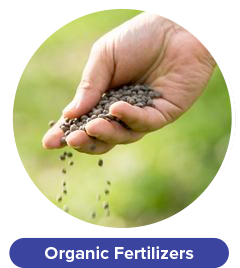 Made entirely of recycled material (processed and pasteurized poultry litter) our fertilizer is pathogen free and perfectly safe for people and animals. 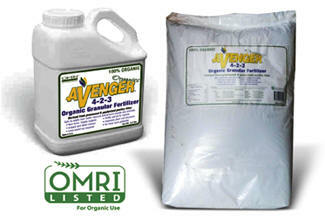 Trust Avenger Organics pasteurized, all-natural, certified organic granular fertilizer, to meet all your goals! What are the Advantages of Avenger Poultry Litter Fertilizer? Superior performance – long term composting, strict production processes and quality inputs. 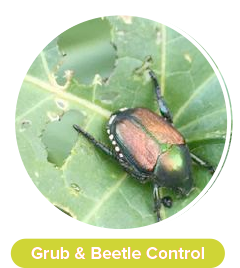 Encouraging soil microorganisms – providing an opportunity to reduce pesticide use. Plant and environment safety –no risk of harm to plants, animals, people or your water source. 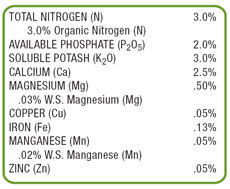 Cost-efficiency – compared to synthetic nutrient sources. Slow nutrient release from natural microbial breakdown. Trace nutrients including calcium for improved plant cell structure. 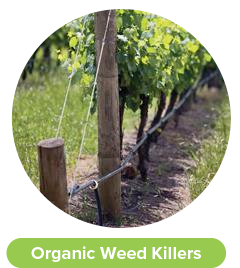 Inhibit soil pathogens through stimulation of soil microorganisms. Improve soil structure over long term use. Organic certification by national Organic Materials Review Institute (OMRI). 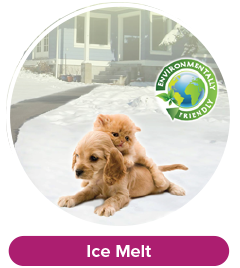 Safe to apply around people and animals. No chemical additives or contaminants. Pasteurized, pathogen and weed seed free. 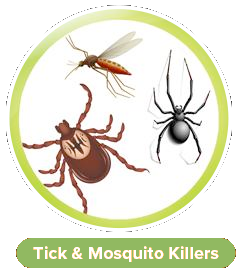 Can be safely applied near wells and water sources. Supports thatch degradation and soil biological processes. Boast the use of organic products. Soil Conditioning/Pre-Sod/New Lawns: Apply 40 lbs. per 1,000 sq. ft. and mix into soil. Six weeks after sodding or seeding, apply an additional application. Mature Lawns: Apply 40 lbs. per 1,000 sq. ft. in early spring or prior to green up Apply 60 lbs. per 1000 sq. ft. on poor soil lawns. Apply every 6-8 weeks. Fertilizer Sensitive Turf (e.g. Centipede): 5-10 lbs./1,000 sq.ft. New Sod: 20-30 lbs. per 1,000 sq. ft. Flower Beds/Vegetable Gardens: Apply 5-10 pounds per 100 sq. ft. of planting area and mix into soil prior to seeding or transplanting. Pastures: 700-800 lbs. per acre. Potting: 1.5 lbs. per 40 lb. bag of soil or 15 to 40 lbs. per cubic yard of soil. Gardens: 30-40 lbs. per 800 sq. ft.
Tree Installation: 2 cups per caliper inch. Shrub Installation: 1/3 cup per gallon size.